Hormel Foods Corporation (NYSE: HRL) invites you to participate in a conference call with Jeffrey M. Ettinger, chairman of the board and chief executive officer; Jody H. Feragen, executive vice president and chief financial officer; and James P. Snee, president and chief operating officer to discuss the company’s fourth quarter results. The company will issue its earnings press release before the markets open on Tuesday, November 24, 2015, and will host a conference call at 8:30 a.m. CT (9:30 a.m. ET). 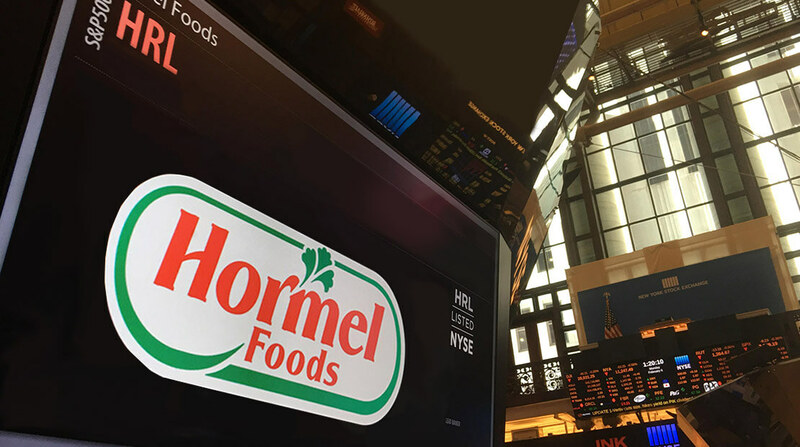 To listen to a live Webcast of the conference call, go to the company’s website, https://www.hormelfoods.com, click on Investors, and you will find a link to the webcast. Dial toll-free 888-329-8893 at least 10 minutes prior to the call. From outside the United States, call 719-457-2689. Please note: all dial-in participants should quote the conference ID of 6355504 to access the call. You can listen to a recorded replay beginning at 11:30 a.m. CT on Tuesday, November 24, 2015, until 11:30 a.m. CT on Tuesday, December 8, 2015. Hormel’s new look(s) Hormel Foods Corp. is diversifying.